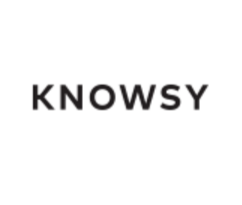 Knowsy is a disruptive, new short-format video content platform, born our of a revolution in how people are learning. Video has emerged as the most effective way to learn how to do things – from the most basic how-to user-generated videos to more comprehensive e-courses. Knowsy is focused on creating the most simple and addictive way to consume clean, concise instructional and educational videos that are optimized for mobile users and social distribution. Alisa is a serial entrepreneur who is passionate about the rapid evolution of digital media. She has built several digital companies, all of which have been acquired: Nerve.com, acquired by HowAboutWe in 2013; Spring Street Networks, acquired by FriendFinder in 2005; and Babble, which she co-founded, acquired by The Walt Disney Company in 2011. Her latest venture, Knowsy, launched in October, 2016.